Don’t let reports about side effects scare you away. If you’ve been prescribed a statin drug to lower your cholesterol and reduce your risk of a heart attack or stroke, you’re better off taking it. That’s the message that emerges from a review conducted by 28 researchers and described in The Lancet. Investigators said they wanted to closely examine whether scientific and media reports about possible side effects of taking statins had deterred some doctors from prescribing the drugs or patients from taking them, raising their health risks. This is dangerous, they say. While some small numbers of patients who take statins are likely to suffer such side effects as muscle weakness, they are outweighed by the far larger number who avoid heart attacks or strokes, they said. “There is a serious cost to public health of making misleading claims,” the authors wrote. Statins are prescribed to lower LDL, or “bad cholesterol” levels. And bad cholesterol is a major health risk. 71 million American adults have high levels of bad cholesterol. Only 1 in 3 of them has the condition under control. People with high cholesterol have about twice the risk of heart disease as people with lower levels. There are no symptoms to signal the presence of high levels of bad cholesterol, so the National Cholesterol Education Program recommends adults get a simple blood test every five years. While statins have been widely prescribed for high cholesterol for about the last 30 years and “are very effective in lowering LDL cholesterol and reducing cardiovascular risk,” according to the National Institutes of Health, some researchers have described potentially harmful side effects. Some side effects are real, but the reports and the consequent media coverage have been “exaggerated,” say the authors of The Lancet study. “For, whereas the rare cases of myopathy and any muscle-related symptoms that are attributed to statin therapy generally resolve rapidly when treatment is stopped, the heart attacks or strokes that may occur if statin therapy is stopped unnecessarily can be devastating,” they wrote. The review, “Interpretation of the evidence for the efficacy and safety of statin therapy,” was published in The Lancet. The CDC's Cholesterol page discusses the types of cholesterol, the risk factors for high cholesterol and the importance of getting a simple blood test to check your cholesterol. Here’s a page on “Who to treat with statins” from the National Institutes of Health. If you’re due for a cholesterol test, talk to your health care provider. And if it turns out your levels of bad cholesterol are higher than they should be, discuss ways you can bring them down. Sometimes a change in diet can make a big difference and sometimes your provider will prescribe a statin. 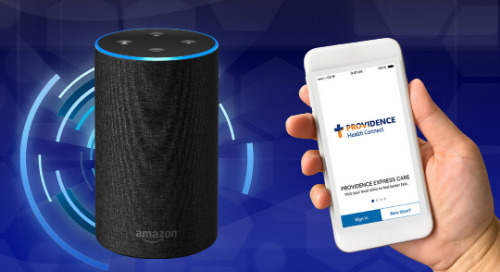 If you’d like to find a Providence provider near you, visit our directory.